Whether the death penalty will be sought in a murder may depend more on the budget of the county in which it is committed than on the severity of the crime, according to several prosecutors. A report by the Marshall Project found that the high costs of capital cases prevent some district attorneys from seeking the death penalty. “You have to be very responsible in selecting where you want to spend your money,” said Stephen Taylor, a prosecutor in Liberty County, Texas. “You never know how long a case is going to take.” One capital case can bankrupt a county: “I know now that if I file a capital murder case and don't seek the death penalty, the expense is much less,” said James Farren, the District Attorney of Randall County, Texas. “While I know that justice is not for sale, if I bankrupt the county, and we simply don't have any money, and the next day someone goes into a daycare and guns down five kids, what do I say? Sorry?” Prosecutors cited past cases in which counties had to drastically alter their budgets in order to pay for death penalty trials. In Jasper County, Texas, a county auditor said the budget shock of a death penalty case was as bad as a flood that destroyed roads and bridges. Seeking the death penalty in one case in Gray County, Texas, forced the county to raise taxes and suspend raises for employees. The defendant was sentenced to life without parole. 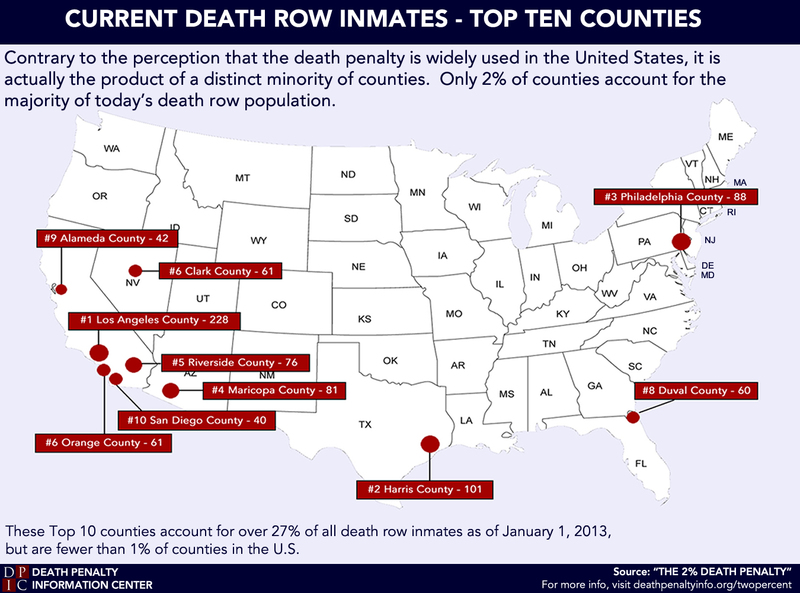 When Mohave County, Arizona, prosecutor Greg McPhillips decided not to seek the death penalty in a case he thought was particularly heinous, he pointed to costs as the reason: “The County Attorney’s Office wants to do their part in helping the County meet its fiscal responsibilities in this time of economic crisis not only in our County but across the nation,” he said. An investigation by The Marshall Project showed that since Congress put strict time restrictions on federal appeals in 1996, lawyers for death row inmates missed the deadline at least 80 times, including 16 in which the prisoners have since been executed. The most recent of such cases occurred on Nov. 13, when Chadwick Banks was put to death in Florida with no review in federal court. This final part of a death penalty appeal, also called habeas corpus, has been a lifesaver for inmates whose cases were marked with mistakes ignored by state courts. The Project's report, Death by Deadline, noted, "Some of the lawyers' mistakes can be traced to their misunderstandings of federal habeas law and the notoriously complex procedures that have grown up around it. Just as often, though, the errors have exposed the lack of care and resources that have long plagued the patchwork system by which indigent death-row prisoners are provided with legal help." One Alabama lawyer who missed the deadline was addicted to methamphetamine and was on probation for public intoxication. An attorney in Texas who filed too late had been reprimanded for misconduct, while another Texas lawyer had been put on probation twice by the state bar. Two weeks after being appointed in the death penalty case, he was put on probation again.